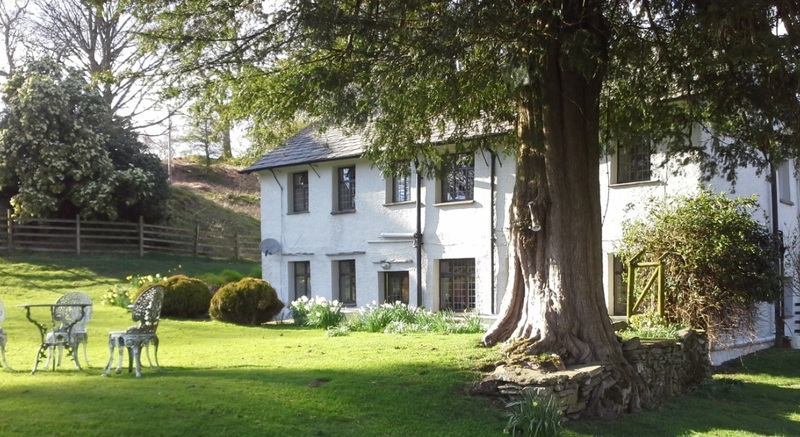 Holmeshead is a traditional Lake District hill farm of great character offering Bed and Breakfast near Skelwith Bridge. 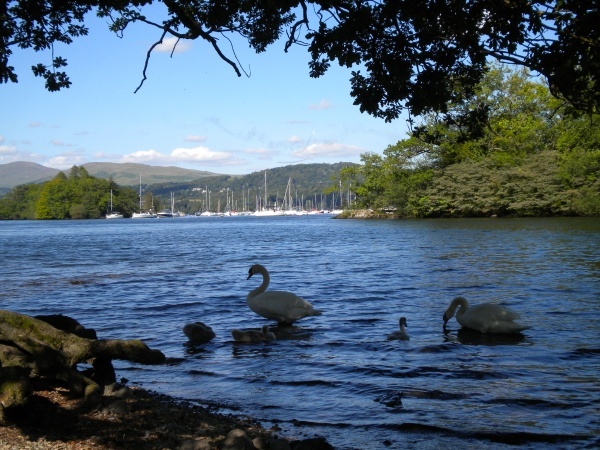 A Superior Bed and Breakfast (B&B) between Ambleside and Hawkshead. 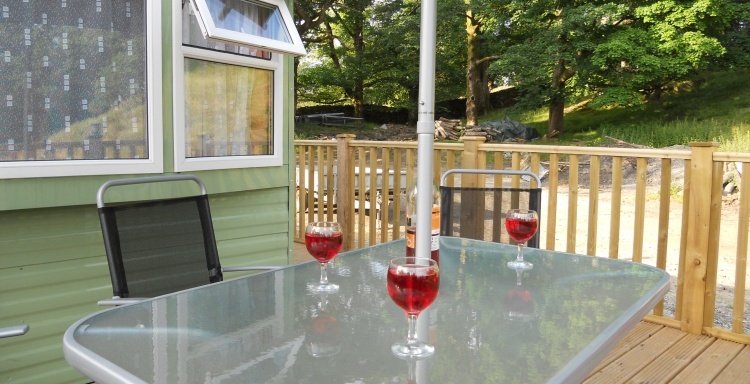 We now also have a Lake District self catering caravan! Its beautiful location just above the tiny hamlet of Skelwith Fold is isolated, peaceful and quiet, yet only 10 minutes drive from the bustle of Ambleside, one of Lakeland's major tourist centres with every facility and amenity, or from Hawkshead, a picturesque village with interesting history, shops, cafés and pubs. The fine Langdale valley, one of England's most famous walking and climbing areas, is about 15 minutes' drive away. 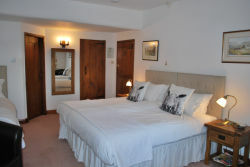 The farm rears sheep and is run by Edward Ireton, while his wife Judith looks after the guests. The farmhouse dates from the 17th century. The farm buildings and yard are adjoining and there is usually something interesting going on outside, while the friendly farm dogs ask you politely to play. 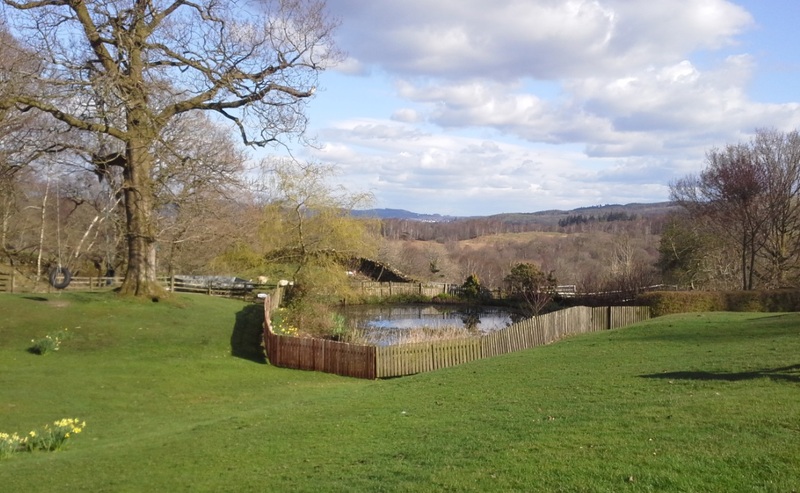 To the south of the house, extensive undulating lawns invite you to stroll and enjoy the unspoilt view, or relax and take a drink, while in the pond the wildlife waits to be discovered. 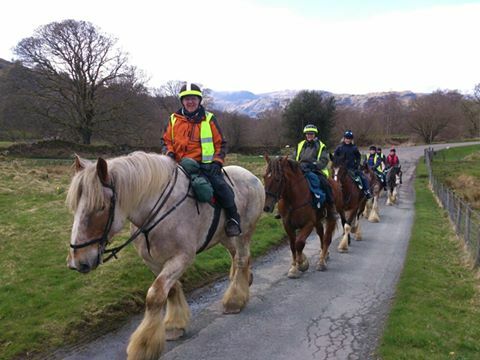 We now offer b&b for your horse too, stables and hay - bring yours and ride the Lakes. 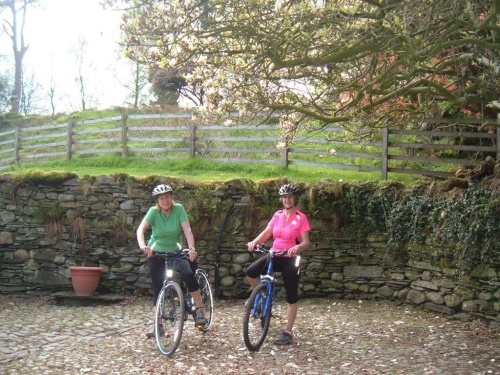 This is a truly idyllic spot for a short break, whether you just want some peace, enjoyable walks, to ride the fells on your mountain bike or the bridal ways with your horse.